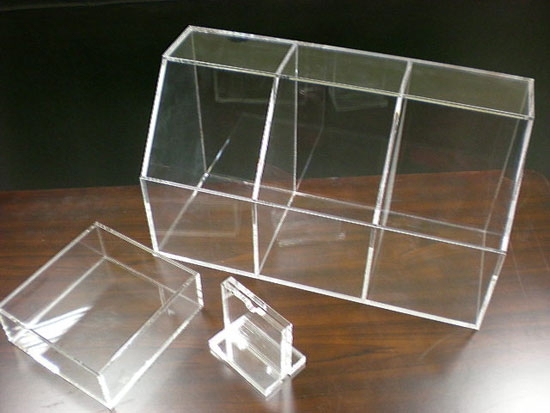 Acrylic display can be used as cosmetic shelf, Display Case, Toy Dust-proof Case, Artwork Case, Books Shelf, various Collection Cases, DVD Display Shelf, Storage Box, diverse Merchandise Display Shelf, Price Tag, Crystal Character, Laser Cutting, Poster stand, DM Shelf…etc. Acrylic Display Case adopts diamond cutting and presents multi-angle appearance, Anything that you would like displayed inside of a safe and secure display case. Cut with a micro-computer controlled mechanical scraping and carving not only greatly improve precision, but also produce can not be completed with traditional patterns and forms. Organic Glass Acrylic characteristic: The transparency is just like crystals and penetrability is up to 92%. The acrylic colored by dyes has good color-display effect. 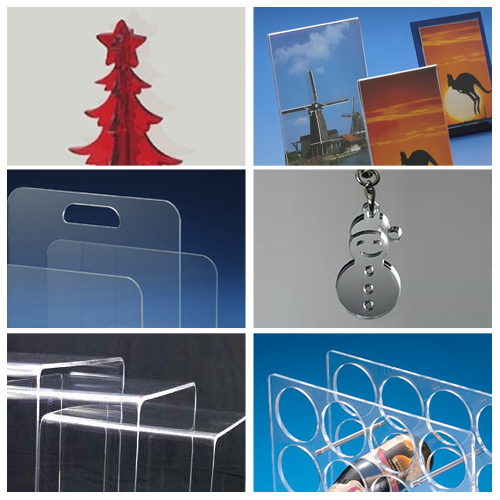 Moreover, acrylic board has excellent weather-resistance, better surface hardness and better heat-resistance.